Who doesn’t love the smell of baked goods? Sugar, vanilla, cinnamon and other spices being warmed up in the oven creating an irresistible smell. 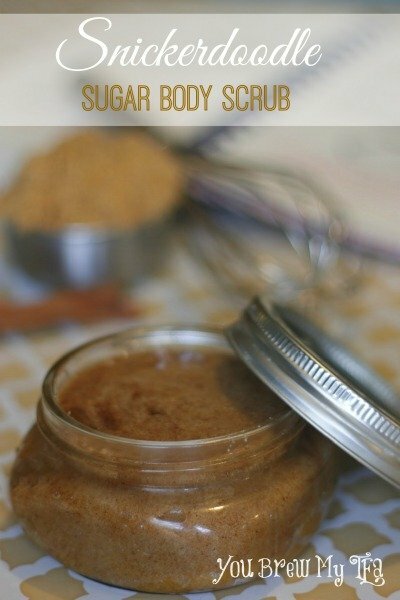 They make an amazing scent for homemade body products too- Like this delicious Snickerdoodle Sugar Scrub. This scrub exfoliates gently and leaves your skin soft, moisturized, and fragrant. I like to keep a jar of this on the shelf next to the shower and use it a couple times a week for a quick spa experience. It also makes a wonderful homemade gift in a pretty jar with a simple tag attached to identify the scent. What is your favorite body product scent? Combine brown and white sugars, almond oil, cinnamon, and vanilla in a bowl. Poke hole in vitamin E capsule, or you can use 2 tsp. oil if you buy it that way and add to mixture. Scrub is safe to be used on body, if you do not have sensitive skin you may also enjoy it as a face scrub. Some people have a sensitivity to cinnamon and you may find your skin pink/red after use- this will fade. 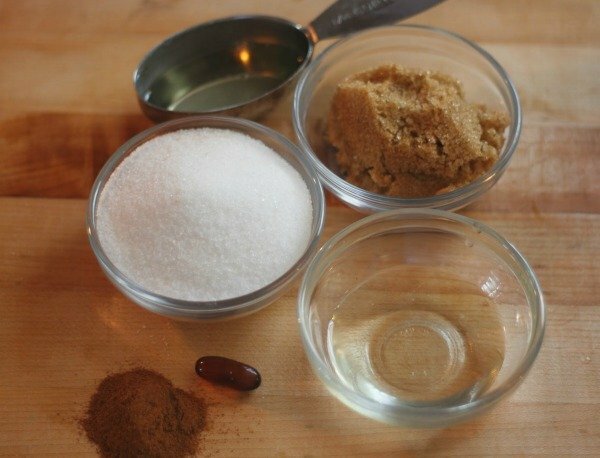 Making this homemade Snickerdoodle Sugar Scrub, and other great DIY beauty products is a great way to save money while still pampering yourself. We love knowing exactly what we are putting on our skin, and these are fun ways to make that a possibility. Invest in some inexpensive plastic containers to store this in, and add a bow for a beautiful and thoughtful gift for a friend. Nothing is more fun than receiving a luxurious homemade scrub to pamper your skin with! 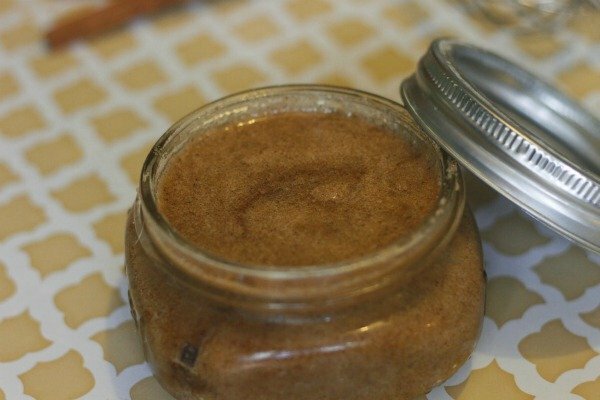 If you like this DIY Body Scrub – check out all of our other great homemade beauty products! I bet this smells amazing. I love body scrubs, I have a collection. My name is Katie and I host Fall Into the Holidays, now open. All entries get pinned. I would love to have you link up! Sounds like this would make a great Christmas gift… plus a jar for me. Thank you for taking the time to share this with us! Pinning! This looks amazing I can’t wait to try it! I am planning on making sugar scrubs for Christmas Gifts so this will be a great addition to the other recipes I have. Now I’ve read that the vitamin E is for preserving the mixture, not sure if that is true or not. Have you found any alternatives to the vitamin E? Also do you or can you use other oils as your main oil? We haven’t tried this any other way, so not sure! I’ll have to look into it!